The snow is great and all, and I know having four seasons is enjoyable. But then again, there’s a lot to be said for winter in Southern California. 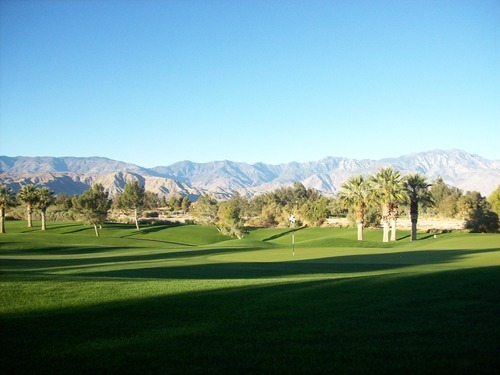 After all, driving out to the desert in December to play golf in picture-perfect conditions is simply hard to beat. That’s how I spent my Friday and Saturday, and it was a truly memorable experience. The main reason for this trip was that Greenskeeper.org was holding their final “event” of the year at Classic Club. It was a fitting end to a year where I found myself heavily involved with this organization that has brought me together with so many people who share my passions for golf and travel. Playing Classic Club again was kind of a “full circle” experience. My first time meeting and playing with founder of Greenskeeper.org, a.k.a. “Johnny GK,” was at this course back in February. I fell in love with Classic Club then, so I was eager to come back and play it once again. And, as the Golf Nomad is one to do, I made a nice little trip out of it! The Classic Club event was set for noon on Friday, which meant I had ample time for a warm-up round earlier in the morning. 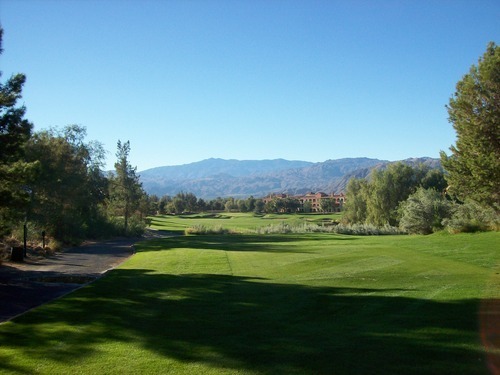 A few other GKers and I got together for a little dawn patrol golf at Marriott’s Shadow Ridge Resort in Palm Desert. I had actually played Shadow Ridge once before many years ago. 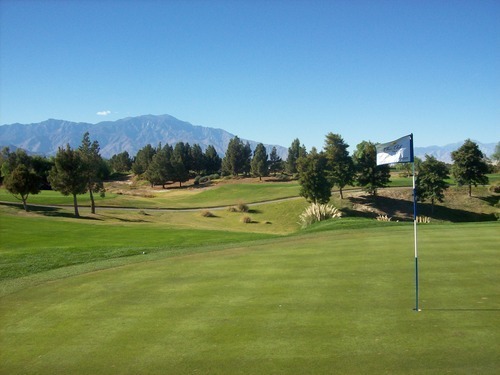 In fact, it was the first course I ever played in the Palm Springs area. 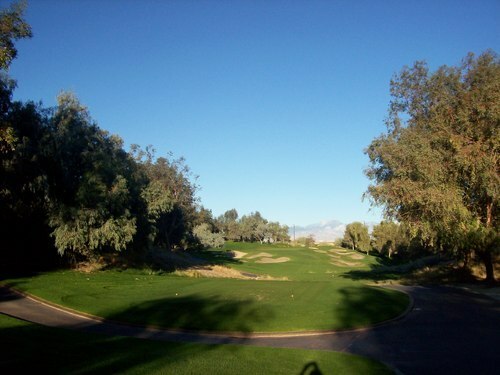 I remember it being a very neat course as my first ever “desert” track, but other than one hole (No. 17), I couldn’t remember much at all about it. 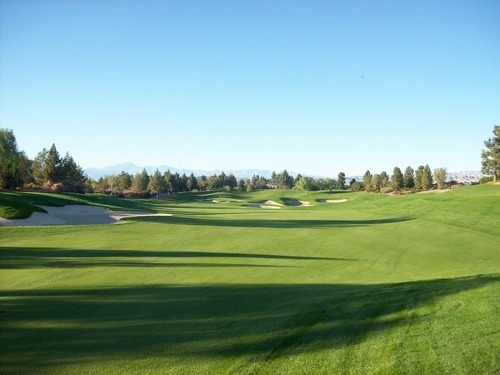 So I was curious to see what Shadow Ridge would be like now that I’ve played quite a few more courses out there since then. It not only exceeded my vague memories. It kind of blew me away. 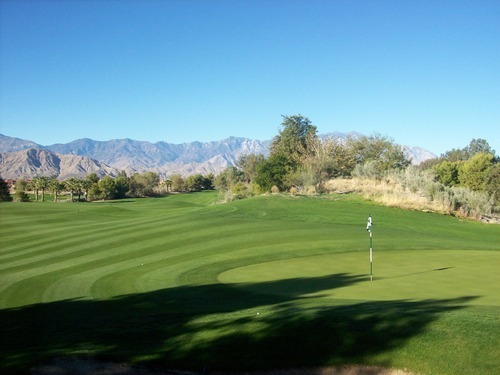 This is a really fantastic course and it was in incredible shape! We teed off at 6:30 as a foursome. There was a twosome that had apparently gone off before us, but we never saw them all day, so it was a perfect morning pace for us. We paid $76, which is nothing to scoff at, but it’s a very good deal compared to other courses out there this time of year as they start heading into peak season rates. 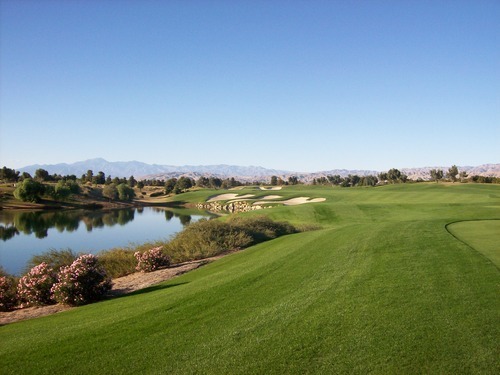 Shadow Ridge was designed by former tour player, Nick Faldo, and it’s the only course of his I’ve yet to play. He’s an Englishman, so it’s no surprise that he used some links elements when laying out this course. Though I wouldn’t necessarily categorize it as a full-on links course, it uses some bunkers, mounding, tricky greens and deceptive angles that are keystones of traditional links designs. 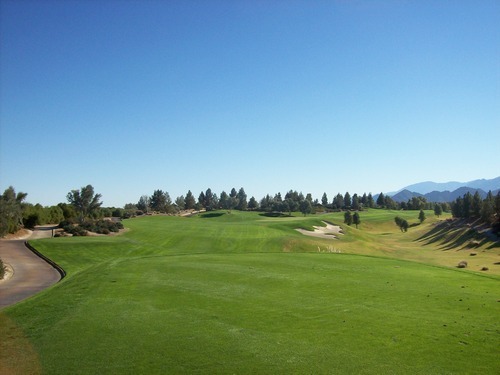 Many holes are framed by desert waste areas full of coarse sand, bushes and trees. There aren’t really any houses around the course. 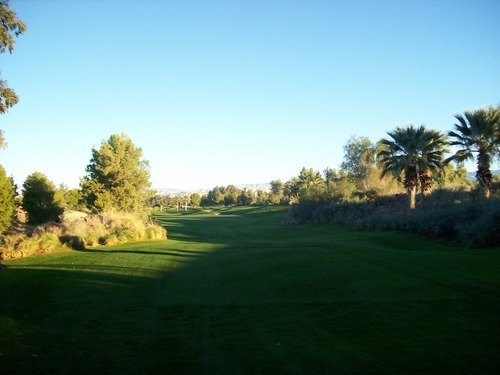 You go by the resort buildings on a number of back nine holes, but it still feels more secluded than other more residential/resort layouts in the desert. Some holes that stood out to me this time are the 10th and then the finishing stretch of 16-18. 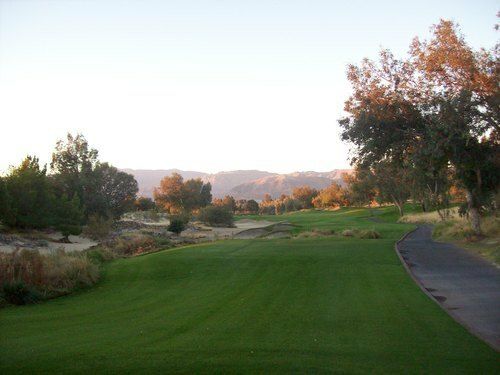 The 10th hole is a tough par-4 with water and desert brush on the right. 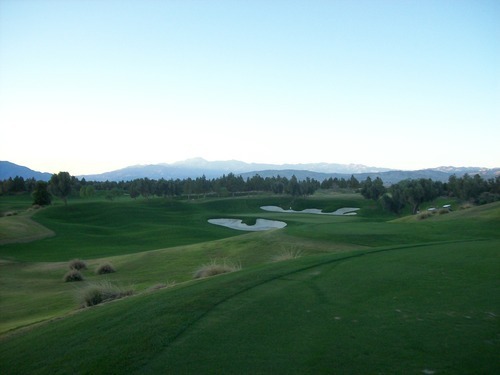 The hole is a dogleg right with a big hump at the corner. 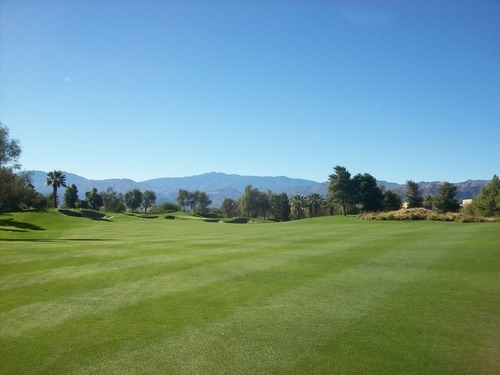 From the tee, you hit to the top of that and then around the corner toward one of the toughest greens on the course. 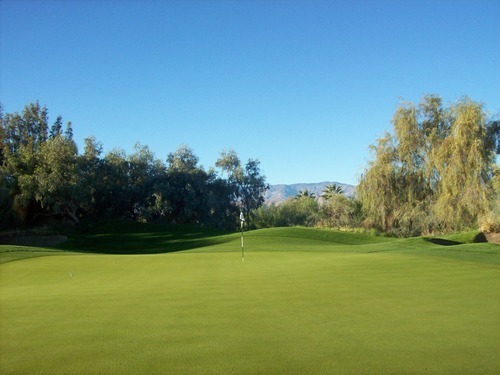 All the greens here are pretty big and feature plenty of severe undulation. They are very hard to read. 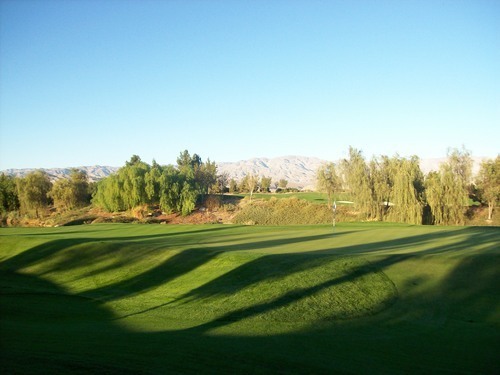 Then holes 16 through 18 offer a great finishing stretch. 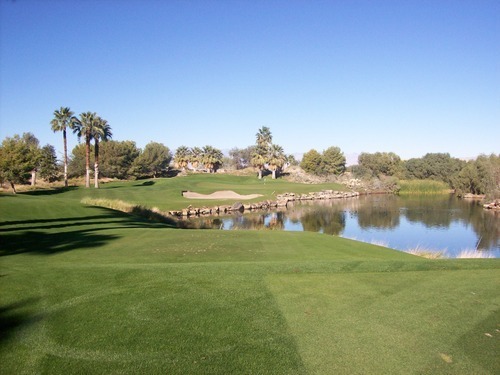 The 16th is a tough par-5 that is wide at the beginning and gets narrower and narrower as you get closer to the hole that is well-protected by water along the right all the way up to the front edge of the green. 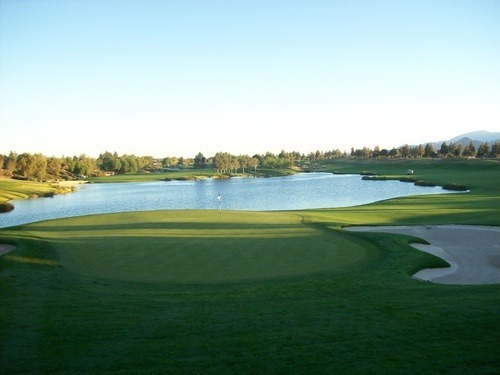 The 17th is one that I actually remembered from the previous visit because it, too, has a crazy green. 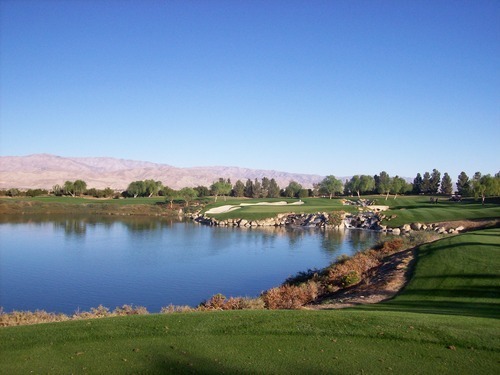 It’s a fun par-3 over water, where if you hit the right slope on the green, your ball can end up really close to the hole. However, hit the wrong side of a slope and you could be taken way off course. Bad shots can turn to good and good shots can turn to bad depending on which angle you take and which slopes you catch. Finally, the 18th is a challenging par-4 finisher with a little creek running up the middle of the hole and bisecting the fairway. It forces some decisions off the tee and on your second shot. 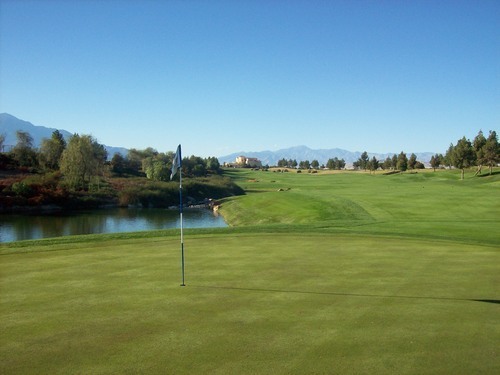 Shadow Ridge was in fantastic condition, as well. It was actually the best that I played all weekend in terms of conditions, which is saying a lot because every course was in excellent shape. This course was beautiful from tee to green with super lush fairways and rough. The greens, though a bit firm for my tastes, were very smooth and running at medium/quick speeds. With the firmness, you actually have options to fly the ball in high or run it in low—yet another “links” element. 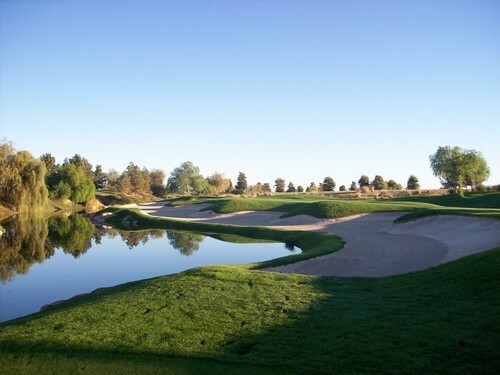 The sand was the one weak component of Shadow Ridge. I was only in one bunker early, so it was still too damp to really get a feel for it. But my playing partners seemed unimpressed with the depth and quality of sand in the bunkers, so I have to go with their judgments that it was not too great. Great course, great conditions and great experience. If I was on my own, I probably would have opted to play somewhere new. 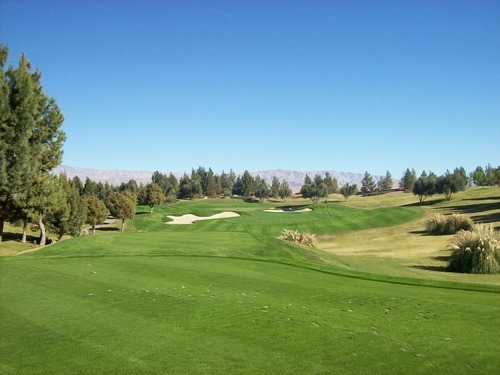 So I am glad I joined up with the other guys here because it forced me to play Shadow Ridge again and it was a wonderful experience. 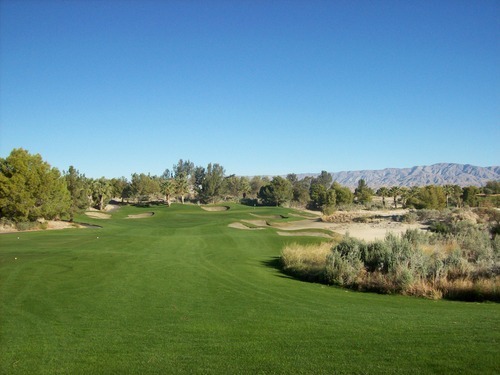 I would highly recommend this course as one of the best medium-price options in the desert. From Shadow Ridge, we grabbed a quick bite at IHOP and headed over to Classic Club just a few miles away on the north side of the freeway. We had a lot of fun out there at the event. 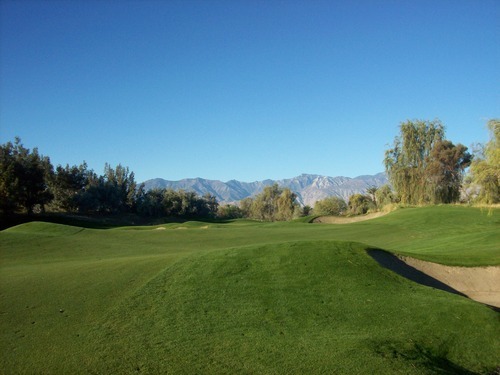 I got to see some old friends and meet a few new GK members while playing what I considered my favorite course (out of the ones I have played so far in the Palm Springs area). Our team didn’t do too well, but we had some good individual accomplishments including my two closest-to-the-pin wins on holes 2 and 17! The weather was beautiful. It was a little warmer than I was expecting, but very nice. The wind started picking up early in the round and I feared that it would get worse as the day went on. 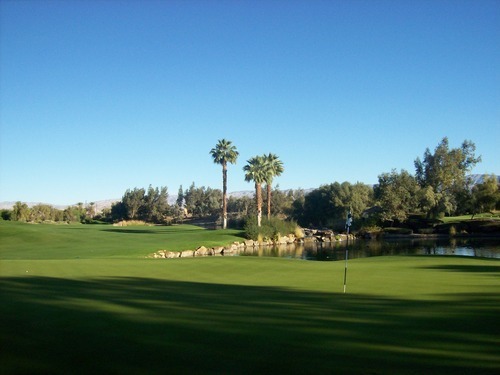 Classic Club was actually built primarily as a host course for the Bob Hope (now Humana Challenge) PGA event. They played there a few years, but moved it because the wind can get very bad on the north side of the I-10 freeway. The wind actually died down as our afternoon went on, so it was a beautiful day for golf on this incredible course. 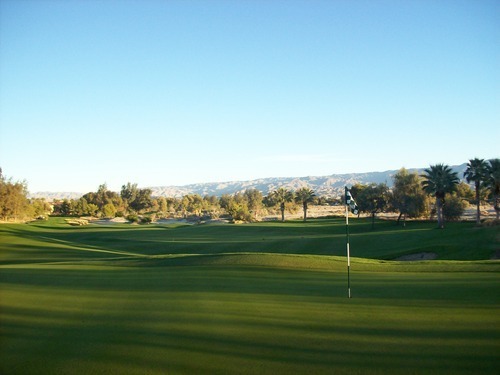 What I like about Classic Club is that it doesn’t feel like any other course I’ve played in the desert. 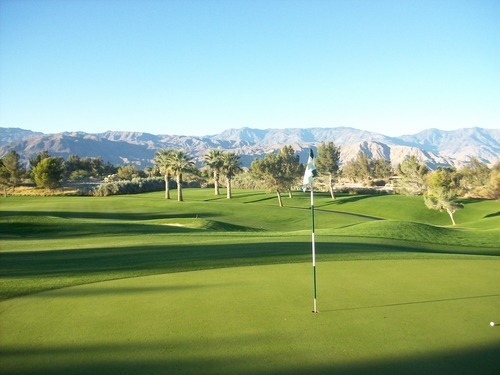 It was designed by golf legend, Arnold Palmer. You do get all the same spectacular mountain views in the background like all the other courses, but there’s something different about it. 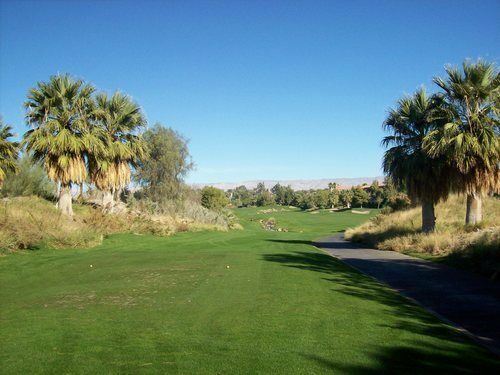 I think the fact that there are no palm trees on the course is one thing that makes it stand apart. It’s mostly desert pines. 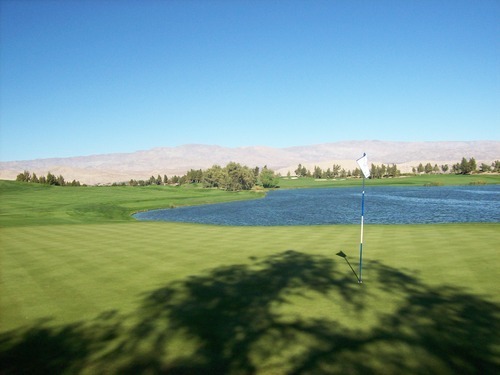 There is a lot of water in play at Classic Club and it’s what provides the most challenge here. It runs all the way from tee to green on some holes and factors in to some level on a majority of the holes here. My favorite stretch is 10-12. 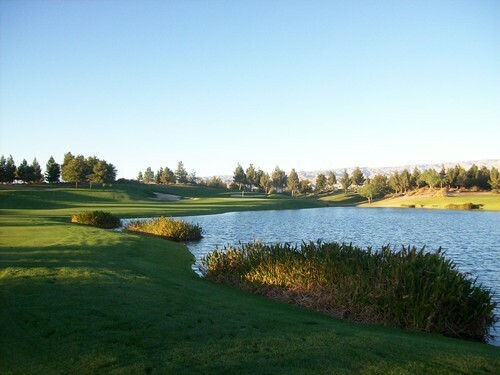 The 10th is one of the straighter holes on the course, but it has water running all along the right side of the fairway. The green is elevated slightly and is protected on the front right by that water. The edge is framed with some huge desert boulders that give it a neat look. 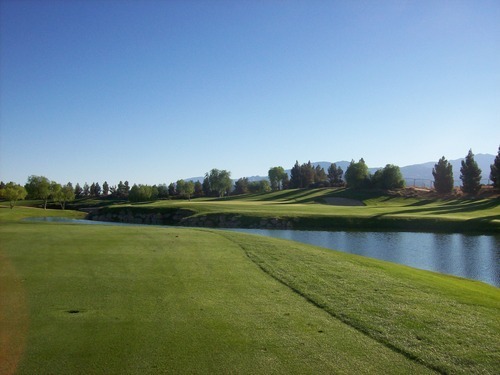 The 11th hole is a big dogleg right. 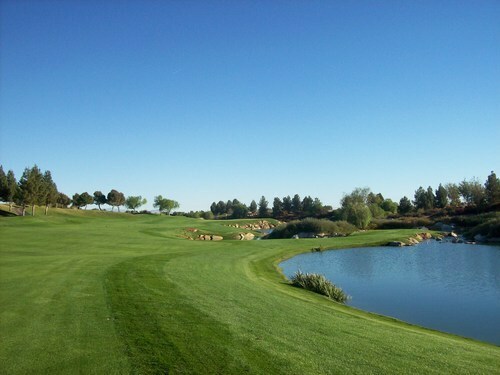 Water runs along the right and forces you to make a decision of how much to try and bite off on your tee shot. 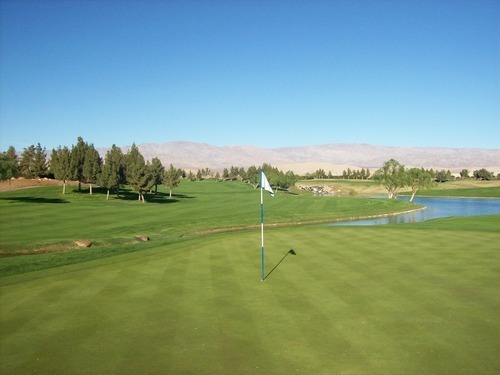 Then the second shot is over water to an isolated green. It’s a very tricky hole. The 12th is one of the most beautiful par-3s you’ll find anywhere. From the tee, it’s all carry directly over water. 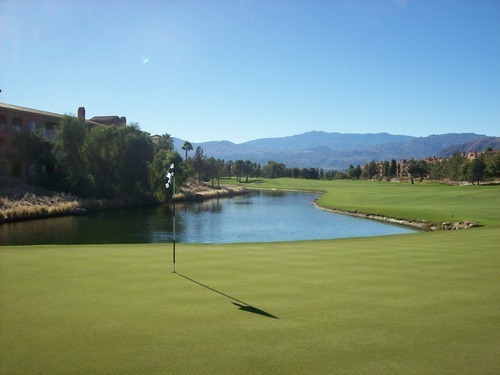 The green is framed on the left and behind by huge bunkers and there’s a little stream/waterfall along the right side. Though the green itself is huge, there isn’t much room for error around it. 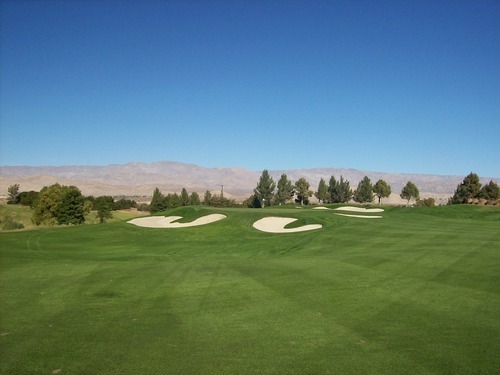 Other holes like 5, 7, 8, 9, 13, 15, 16 and 18 are all very memorable, as well. 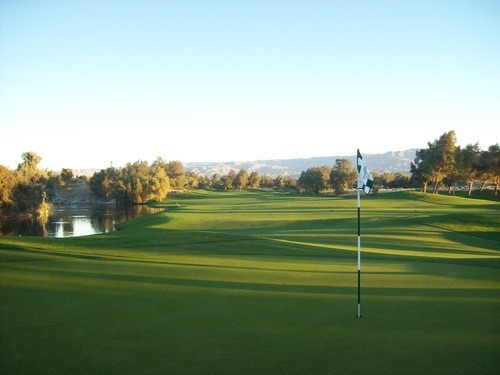 In my opinion, Classic Club has the largest number of “distinctive” holes (as in you really remember them) of any course in the desert, where some courses tend to blend together a bit in your memories because of similar scenery and design elements. Classic Club was also in excellent shape all around. The fairways and rough were lush. A few fairways were recently “patched” up with some new sod and it hasn’t fully come in yet after the most recent overseed, so the turf underneath the grass is still kind of thin. The rough was thick and punishing. The bunkers were full of deep, beautiful sand. The greens were solid, but a little bit beat up. They were running pretty slow and I had a hard time convincing myself to hit the ball as hard as I needed to on medium-length putts. The greens were also very pock-marked with a lot of old unrepaired ball marks speckling the surfaces. These are minor complaints, though. 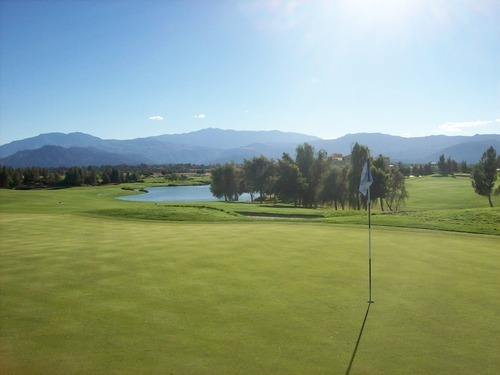 For Classic Club, I would consider the conditions not quite as “immaculate” as normal (not as nice as my first visit there), but even so/so conditions on this course will blow away 99% of other courses you’ll find in Southern California when they are in their best conditions. 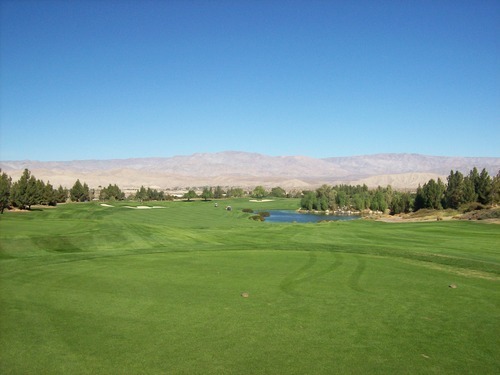 If you haven’t played Classic Club, do yourself and put it near the top of your wish list for desert courses. You won’t be disappointed.